Before we jump to MonetizePros’ Leadbit review for publishers let us take a quick refresh. Over the past decade, the world has evolved and we have entered the digital age. Getting your message across and venting out has come along way from writing it in your diary to publishing it as a blog for the entire world to see. In fact blogging itself has evolved from being a geeky way to express yourself to a platform where you can gain serious money. Being a blogger and a website owner isn’t simply a walk in the park. Anyone who has tried to earn from blogging and everyone who is still blogging to make a living knows that it takes hard work and dedication to even start earning money. You need to know the multiple methods of monetizing your website, the latest technological advancements and the new trends which can help you boost your total revenues. Due to these technological advancements and development from the demand, these days blogging has also been considered by start-up companies and small businesses as a major method to attract more leads as clients and market their reputation to get more recognition and renown. Through the years, blogging has become a very mainstream source of income through monetizing your website. It has also changed the way the world revolves their opinions on any topic including politics, business, and even religion. People and businesses are recognizing the power of bloggers as online influencers which is why plenty of business today would rather advertise in a blog and set up a banner ad rather than spend thousands on a billboard. Hence, the birth of affiliate marketing. Affiliate marketing has grown so much in popularity over recent years as more than 70% of all brands worldwide today consider this as one of their go-to campaigns in driving sales and padding up those numbers. This is why affiliate networks have sprung out to connect us the publishers to the advertisers eradicating any possible problem of miscommunication and making it easy for us to be able to run CPA ads. But, it’s not as easy as it really looks, if you want to make real money with affiliate marketing you need to invest in the hours to cope up with the latest trends and learn the newest tech available so you can ensure that you will always be ahead of the game. Moreover, you have to remember that you need to keep the interest of your readers at all times. Just a reminder, your readers are your bread and butter, without them, you can have the best-looking campaigns but with no traffic, it would be useless. But, if you can manage to pull it off, you are going to be set for a sustainable and stable income from the comforts of your own home. There have already been multiple ad networks who have provided their partner affiliates with hundreds of millions of dollars. One of those ad networks that you should probably start to consider on applying to is Leadbit. They are known internationally to pay on time all the time and to always answer your queries and support requests. Now, let’s go ahead and learn a lot more about Leadbit. Being founded in 2013 Leadbit has been around for a decent number of years now. Their main office is located in London and from there they have branched out internationally. Leadbit is known to be one of the most outstanding affiliate networks and direct advertisers throughout the world. Aside from that, they are also recognized for their work in setting up affiliate conferences called MAC (Moscow Affiliate Conference) which have been attended by an international crowd and giant publishers. Leadbit is one of today’s leading affiliate network and direct advertising company. We have literally gone through extensive research, testing and focus group discussions to dig up about Leadbit. By far we got mostly positive feedback. Most of the results we got suggest that their offers pay good, sell fast and have good CPA’s. From talking to their existing partnered publishers, their support staff and account managers are told to be very knowledgeable about affiliate marketing and have provided them with substantial input to assist them in their query and request. Most of Leadbit’s offers consist of their own in-house campaigns. This means that they handle everything by themselves. They are doing this to ensure that their partnered affiliates are provided the best performing campaigns within their system. This translates to publishers as high CPA’s with already popular products which won’t need complex marketing schemes. So the question arises, how do you exactly get paid? Here is the detailed information provided by Leadbit themselves. Nutra Offers – Cash-On-Delivery: Your lead fills in a simple form – name and phone number, their local call centers confirm the completed form and you get a paid instantly. No hold. You will get paid for every completed form (lead). The customer does not need to enter a credit card number. Trials: You get paid whenever a customer pays for a product with a credit card. 1–Click Flow & PIN Submit: You get paid once a customer subscribes to the content in one click using their phone. In some cases, the customer needs to submit their phone number, receive an SMS with a PIN code and then fill in a special field. Once that process is completed, the subscription is done and you get paid. Gambling: – You get paid once a customer tops off their account balance. Sweepstakes: You get paid once a customer submits a contact form. Bonus: Leadbit is also interested in buying traffic to promote their offers. Let’s go ahead and jump into MonetizePros’ full Leadbit review for publishers! Multiple tools you can use within Leadbit which includes a traffic delivery system, banner rotator, Global PostBack, API and other useful tools that you can get your hands on. Just a quick precaution, Leadbit has plenty of terms and conditions that you need to follow as well so please be sure to read their terms and conditions first. At first glance, even from the first time that you visit their website and their log-in pop-up, you can feel how great their UI looks like and how nifty it is to utilize. Aside from aesthetics and responsiveness, their dashboard consists of all the tools that an affiliate would need. You are provided with statistics, financial balance, payments, profile options and the works. Aside from your conventional set of metrics and stats, you can also access the Leadbit store which contains their own store from wherein you earn points for a successful referral. You can then use those points to purchase multiple items ranging from a car to phone to gadgets. You can also get access to the tracking URL, the tools, support, and Bonuses. Their reporting interface can’t get any more complete as it gets. It allows you to be able to see the dates with complete reporting and sorting functions. Using the UI, you can pinpoint your next moves and plan the next campaigns that you want to make so you can improve your total revenues from successful referrals. Al in all their UI for reporting looks great, it works perfectly and you have all the sorting options that you could possibly want to utilize. Even though it might be hard for a newbie to use it, it still doesn’t change the fact that it works great and has all the metrics and functions an affiliate who wants to earn huge CPA’s need. Hence, we gave it 5 stars. Leadbit has been reported to always pay for confirmed requests. They pay through these payment methods. This is why we gave their payment ratings of 5 stars. When it comes to account help and support, Leadbit is always ready to answer you with queries and support requests. Your account manager is ensured to be professional and knowledgeable to affiliate marketing so if you ever manage to hit a road bump your Account Manager will always be there to lend you a hand. Support is available 24/7 with over 50 call centers spread out internationally. We’ve checked out and researched how great their support is and from the ratings that we see all we could view were mostly 5 and 4 stars. So, to test if support was really that great, we went and tested it ourselves, the account manager assigned was extremely helpful and definitely knows how to communicate tips to increase our CPA this is why we gave them 5-stars. We did not have the luxury of time to completely test Leadbit’s performance for a year, but we were able to get a hold of talking to some publishers who have been partnered with them for more than 3 years. We have combined all the input we got and have come to a conclusion that the CPA’s are great. One of the main reasons behind the high CPA’s is potentially the fact that Leadbit only provides you offers from their direct advertisers which they have hand-picked themselves. To be honest, CPA’s are not the actual highest but they are indeed very “interesting”. This type of offer has the highest conversion rate. The user goes to the targeted subscription or download page. He/She has to click the button or just tap anywhere on the screen and the subscription is automatically released. This is the same as 1-Click Flow, but with one extra step. The user submits his phone number and receives an SMS with a PIN code afterward. He/She then submits the code and the pixel boosts right away. You can change the vertical’s description if you want. This is a Single Opt-In (SOI) Campaign that requires just the basic contact details of the user. The user has to enter his/her name and email. Boom! The pixel boosts up instantly. High commissions. 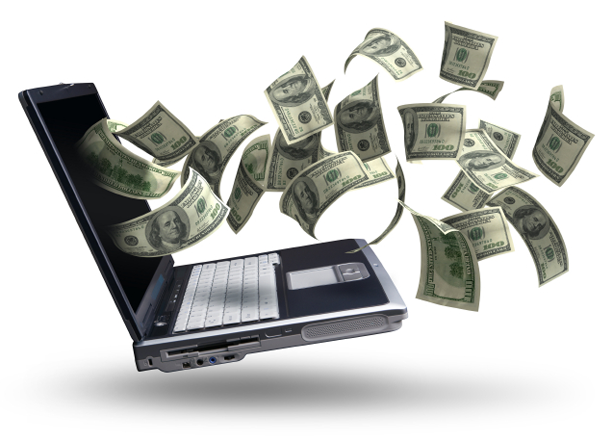 You will get the highest payouts, private offers, and best links. So far from testing Leadbit, to our research results, and talking with actual Leadbit affiliates, we have not really heard any negative feedback aside from some missed payments back in 2016 and late 2017. If you are using blogger, or a free hosting service you won’t be able to get approved by them, we believe that even publishers who have been using a free hosting should be able to apply to an affiliate network. We have had readers and clients with 500k+ page-views using a free hosting and domain who are making a decent monthly average regarding ad revenues. The other thing we did not like that much about Leadbit was the $30 minimum payment. We believe that as an affiliate you should be given the privilege to withdraw any amount you have made during any time that you wish. Generally, Leadbit is an internationally known CPA affiliate network composed of experienced affiliate managers who have been sharpened through the test of time. They are also known for the Moscow Affiliate Conference and other conferences which are attended by an international audience and high-profile publishers. When it comes to reputation and being a legit ad affiliate network Leadbit definitely qualifies to that. The network features multiple exclusive and persuasive affiliate offers that are always updated on a daily basis. You can choose from 150+ offers from multiple niches and you can even sell traffic for their direct advertisers. The offers available are from their supply and are guaranteed to have high CPA’s. Support is great, the interface works, and they have multiple freebies and other special promotions that can boost your interest over time.